The Estrela Mountain Dog is traditionally a livestock guardian that works with sheep. Livestock guardians do not herd their charges, but instead protect them from prey such as wolves. Today they remain primarily as a companion, although some are still kept for guarding property instead of animals. The Estrela Mountain Dog has existed in central Portugal for centuries and is generally regarded as one of the oldest Portuguese breeds. Their ancestry is unknown, although they may have been brought by the Romans when they came to the Iberian Peninsula. In later days they found a secondary task guarding estates of aristocrats in the 19th century. This helped protect the breed, as livestock guardian numbers fell the estates remained stable. 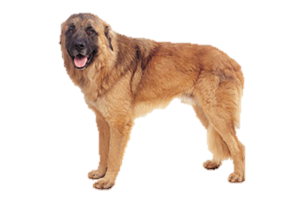 For a short while in the 20th century the breed was crossed with the German Shepherd Dog, but this outcross with quickly forbidden. Is the Estrela Mountain Dog Right for You?